The November 2016 election opened the door in 6 more U.S. states for legal marijuana sale and consumption. California, Nevada and Massachusetts legalized recreational marijuana, while Florida, Arkansas and North Dakota voted to legalize medical marijuana. With more states legalizing, and even some countries decriminalizing, marijuana sales, use and possession, it’s no surprise that marijuana presents an incredible new opportunity for business, with many enterprising entrepreneurs and big corporations jumping into the fray. We would also expect it will just be a matter of time before the U.S. federal government will have to follow suit as well, acting to change existing laws that are incongruent with those of many states. Though with a new administration and legislature set to take over in January, the fate of federal marijuana regulation, like many things, remains uncertain. Cannabis is still illegal under U.S. federal law. The federal government regulates drugs through the Controlled Substances Act, 21 U.S.C. §§811 (CSA), and under the CSA, cannabis is listed as a Schedule I drug, meaning it is deemed to have high potential for abuse and little medicinal value. Under the CSA, it is unlawful to “sell, offer for sale, or use any facility of interstate commerce to transport drug paraphernalia, i.e., any equipment, product, or material of any kind which is primarily intended or designed for use in manufacturing, compounding, converting, concealing, producing, processing, preparing, injecting, ingesting, inhaling, or otherwise introducing into the human body a controlled substance, possession of which is unlawful under [the CSA].” 21 U.S.C. §863. However, by 2020, it’s estimated that the marijuana industry could reach annual revenues exceeding $23 billion. Current projections for 2016 alone put the revenue forecasts at around $7 billion. The rapid growth of the medical and recreational cannabis industries in nearly 40 states has resulted in a wide variety of businesses directly and indirectly related to the sale, support, distribution and consumption of marijuana. There are growers, dispensaries, accessory makers, bakers, bars and even B&Bs, making legalized marijuana one of the fastest growing industries in America today. And these businesses have as much interest in protecting their trademarks as conventional, non-drug related industries. From a business perspective, there is no difference in the purpose and drive behind intellectual property protection for marijuana-related businesses than for any other kind of business. Except under the CSA, which bars federal trademark registration for certain marijuana-related goods and services. Can You Trademark Your Marijuana Business Name? Trademarks serve as unique identifiers in the marketplace. They distinguish the goods and services of one entity from those of another and assist consumers in the marketplace with purchasing decisions. Federal trademark registration helps to resolve many disputes relating to business brand names and alleviates confusion among consumers as to the source of certain goods or services. But despite owning and operating businesses that are perfectly legal in their respective states, medical and recreational marijuana-related businesses have been consistently refused trademark registration at the U.S. Patent and Trademark Office. Since one of the key elements for federal trademark registration is the requirement to show use “in commerce,” the USPTO is prohibited from allowing registration for marijuana-related trademarks that may fall into any of the above-prohibited uses under the CSA. So what does this mean for canna-businesses? In short, the USPTO has been steadfast in its refusal of any trademarks that smell like marijuana (pun intended). 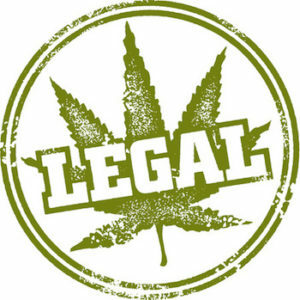 If your mark contains any reference to marijuana, cannabis, THC, cannabinoids, mary-jane, hashish, ganja or any other colloquial expression for the green stuff, or is proposed for use in connection with marijuana-related goods or services, red flags go up and the USPTO will likely issue an Office Action refusal requesting more information. Due to the current language of the CSA, the USPTO will not permit registration of any product containing even trace elements of tetrahyrdocannabinol (THC). So your weed strains, dispensaries, pot brownies, canna-butter and marijuana-infused lip balm are all currently outside the realm of federal trademark registration. Depending on your business, you may seek federal registration for your branded products that do not contain THC, including CBD products, hemp goods, clothing, non-infused treats, vaporizers, grow supplies, and other accessories. If your business doesn’t manufacture or distribute actual marijuana or THC, or advertise that your products are “intended for use with marijuana,” then you should be in the clear. Another option to obtain trademark protection may be to seek state registration, depending on your state’s applicable law. Several states permit trademark registration for weed-related businesses that may be otherwise prohibited under federal law. Please check the rules that may apply in your state. State trademarks, like common law usage, provide limited protection on a national level however. Common law use of a trademark name provides limited protection in the geographic areas where you can show established prior use. State trademarks protect you only in that state. If you register your marijuana business name in Washington, you would not be protected against potential competitors in Florida or Texas. But a state registered trademark does afford some protection, and while not as comprehensive as federal trademark registration, it’s better than simply relying on common law use rights. Plus, a state registered trademark could help in establishing your prior use of the trademark name if and when federal trademark registration becomes available. It remains unclear what the incoming administration will mean for the marijuana industry and federal regulation. Under the current administration, the Justice Department in August 2013 issued a guidance memo to prosecutors concerning marijuana enforcement under the CSA making it clear that prosecuting state legal medical marijuana cases is not a priority and issued a series of guidelines to this effect. Early suggestions show that the incoming President would not roll back advances that have been made to legalize medical and recreational marijuana sales, consumption and possession. For now, it seems the industry itself is unconcerned. But on the question of whether there will be any substantive changes on the federal level that will allow federal trademark registration, for example, we will have to wait and see. The foregoing information, like all of our newsletter content, is not intended to be legal advice and should not be relied upon without further advice of counsel. Please consult an attorney regarding your specific legal concerns. If you have any questions on protecting your marijuana business trademark name, please contact us for a complimentary consultation, (800) 769-7790, or via email. We’re always happy to hear from you!